It seems like everyone’s favorite hazelnut spread may soon be removed from supermarket shelves and pastry shops across Europe. And this came directly after a Nutella cancer study from the European Food Standards Authority last may. The Nutella cancer study found carcinogenic chemicals called Glycidyl fatty acid ester (GE) in heated palm oil, linking Nutella with cancer. It represents a significant risk to children, and due to it’s increased hazard, no level of the substance we can consider as “safe”. In order for palm oil to release these chemicals, we would have to heat it up above 400 degrees Fahrenheit or 200 degrees Celsius. And palm oil is one of the major ingredients in Nutella. Palm oil gives the delicious spread its smooth texture and makes it more lasting. On the other side of the coin, Ferrero Inc; the company that produces Nutella now fights back the negative publicity of the study with a viral marketing campaign. The company continues to try to spread a message that will reassure its customers that palm oil is an essential ingredient in the Nutella spread. Consequently, without palm oil, the tasty chocolate spread would be a much more inferior product that wouldn’t taste as good. “It will be a step in the wrong direction”, said Ferrero’s manager, Vincenzo Tapella. When asked about using sunflower oil or rapeseed oil as a substitute, the manager stated that it would unnecessarily increase the costs of production, raising the price of a jar of Nutella to around $22. 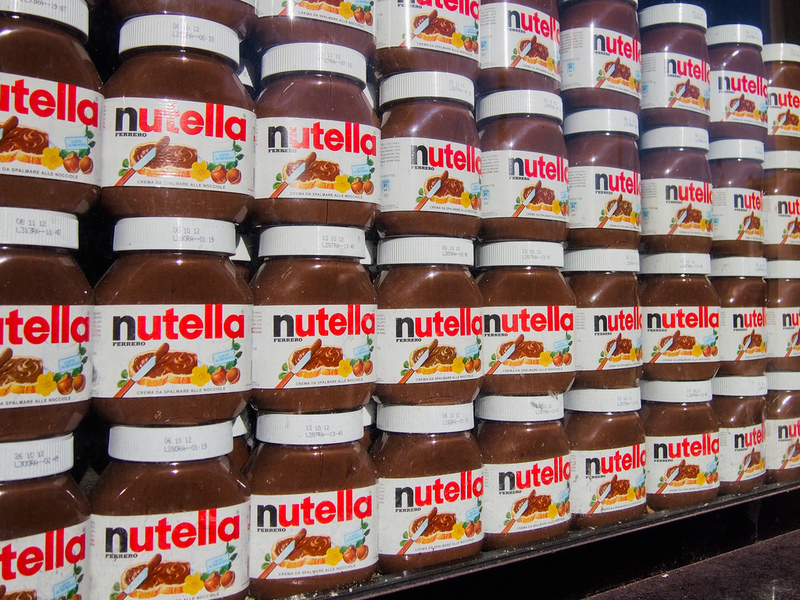 As a flagship product for Ferrero, the company uses about 185,000 tons every year for the production of Nutella. It is worth to note that the European Food Standards Authority did not outright ban the product, nor has advised people against it. In addition to this, they did say that need further research in order to ensure a full conclusion. Finally, the health risks of palm oil have been subject to a warning by The World Health Organization as well as U.N. Food & Agriculture Organization organization. The oil must be heated to high temperatures to neutralize its smell and color. It naturally comes in red color. Ferrero’s spokesman Mr. Tapella said that. ” … the company insists on using a process that does not heat up the oil above 200 Celsius degrees.”. Mr. Tapella also noted in addition that. ” … the palm oil is safe for consuming because it comes from fresh fruits and heated at controlled temperatures.”. Regarding the regulations about palm oil, Mr. Enrico Brivio from The European Commission’s Health and Food Safety stated that it would deliver the guidelines regarding the usage and control of palm oil by the end of 2017. Those regulations will include rules that limit the amount of the chemical in food products. As a precaution, several supermarkets and stores in Italy have already boycotted Nutella from their shelves. ← An Italian Doctor Shocked The World: Cancer Is A Fungus That Can Be Treated With Baking Soda! According to Italian doctor Tulio Simonchini, cancer is nothing but a fungus which can be eliminated with baking soda. Dr.